The Consequence of Revenge is amazing, astonishing, brilliant, epic, exceptional, fantastic, hilarious, phenomenal and utterly unbelievable. Then I ran out of superlatives. Okay, not totally true because I put a thesaurus to good use for that sentence, see how I even sorted them alphabetically? But honestly, every one of those words perfectly describes The Consequence of Revenge. It's not earth-shattering deep, it won't make you contemplate the meaning of life, it won't cure cancer and it won't bring world peace but it will damn well make you smile and sometimes that's all you need. You know those sitcoms where Person A sets Person B on fire and tries to put it out with a bucket of water. Only, it wasn't water, it was a bucket of grandpa's purest moonshine and now person B is really ablaze. So Person A grabs his jacket, pulls person B down on the new-cut grass and rolls him around covered in the jacket to try and put him out. But Person B is allergic to grass so now he breaks out in hives and sneezes non-stop too. Yeah, those sitcoms, that's The Consequence of Revenge in a nutshell for ya. Every character is amazing, most of them take a step back in TCR bur since Max is isolated on a tropical island that's not really surprising. But their guest-appearance just reminds me of why I loved The Consequence of Loving Colton (Consequence #1) so much. Their dynamics and friendship is astonishing. They all bring their own humor and sarcasm to the book and it's brilliant. In The Consequence of Loving Colton, Max was my favorite character, and to see him go through his personal version of Hell with 24 absolutely cray cray women vying for his attention is epic. 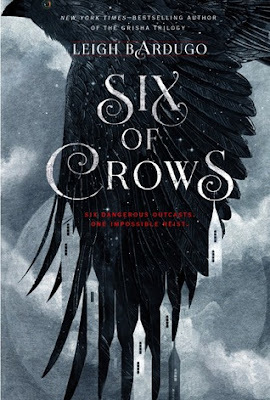 Max's irrational fear of goats possessed by Satan, his exceptional ability to bring out the worst kind of crazy in already crazy people and Reid's rational, actually rational, fear of Grandma is just some of the things that makes this book fantastic. It is absolutely hilarious! Then there's girl who gets thrown into the outrageous world of Max Emory, our poor, unsuspecting Becca who has no idea what she's gotten herself into. She has great adaptation skills though, or the one who's actually not insane would have gone insane with the batshit crazy things Max put her through. She's witty and sarcastic just like the rest of them, she's random enough to keep up with Max but collected enough to keep him from going over the deep end. She too is a phenomenal character and I absolutely love her, her fit with Max is just so good. I have no doubt that Reid's book will be just as unbelievably good! Didn't I tell you all of those superlatives could be used to describe to book?! Find them all yet? If you ever need a pick-me-up, are in the need of a laugh or of something light that will lift you up and leave you with rejuvenated energy, get started on the Consequence series! 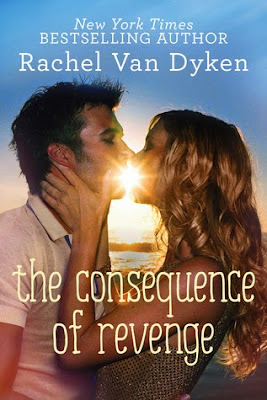 My ARC copy of The Consequence of Revenge was provided by Skyscape through NetGalley in exchange for an honest review. To reach Rachel, contact her here through Goodreads or by any method below!